Now that we’ve waded through the line-up and had a chance to see some of the films, here’s a quick rundown on Canadian documentary culture at the festival. We’ll have reviews and interviews for Canadian and international docs at the festival, so stay tuned for when ourTIFF Docs Hub goes live next week! Doc fans from the 6ix will wanna score some court side seats for this b-ball film about the Raptors’ all-around giant Vince Carter. This doc by Sean Menard (Fight Moms) profiles the legacy of the eight-time NBA All-Star and features interviews with Steve Nash, Director X, Mona Harlem, and Drake, who served as executive producer. Last year’s basketball doc Giants of Africa was a highlight on the Canadian front, so avoid the double dribble on Single Ticket Day, especially since Carter, Harlem, Director X and Wheels will all be in attendance. Toronto’s favourite curmudgeon Alan Zweig continues his impressive hot streak. After winning Best Canadian Feature at TIFF for When Jews Were Funny and the festival’s inaugural Platform prize for Hurt, Zweig outdoes himself with the challenging and surprisingThere is a House Here. Few subjects could seem as difficult to tackle as troubled hero Steve Fonyo, whom Zweig followed in Hurt and its follow-up Hope, yet the director uses his easygoing and approachable gift for gab to tackle his trickiest subject yet: life in the Canadian north. There is a House Here depicts the north in all its complexity as Zweig visits the Inuit to remedy his ignorance and ask with an open ear how allies may help to improve life for the Inuit. Central to the film is Zweig’s “semi-reluctant guide” Lucie Idlout, who might just be the strongest and most fascinating character in any film at the festival this year. Quebec’s droll docu-drama-mentarian Denis Côté solidifies his status as one of the nation’s most oddball auteurs with his new film A Skin So Soft. This peculiar companion piece to arthouse hit Bestiaire does for bodybuilders what the latter film does for caged beasts at a zoo. A Skin So Soft offers Côté‘s dryly humorous observational style as he introduces six bodybuilders who flex their muscles and undergo rigorously vain procedures to beautify their bodies. The film seamlessly blurs the lines between fiction and non-fiction as the director playfully uses style and meaning to immerse the audience in an unexpected deconstruction of masculinity. The film artfully and humorously asks us to consider the measure of a man with its surprising portraits of these burly men. Stay tuned for a feature onA Skin So Soft in the Fall issue of POV! TIFF might have just announced a FREE screening of Dunkirk with Christopher Nolan in attendance at the Ontario Cinesphere, so if anyone’s super excited to see an IMAX movie that’s already in theatres, then that’s just fine. (It is an excellent film.) But long beforeDunkirk turned the Twittersphere into a roaring debate over the superiority of 70mm, IMAX, 4D cinema and surround sound, Graeme Ferguson defined “see it as it was meant to be seen” cinema with North of Superior. Picked by POV as one of Canada’s documentary essentials, this pioneering film made a doozy of a splash for IMAX and proved that documentary could be just as grand a cinematic adventure as Lawrence of Arabia. 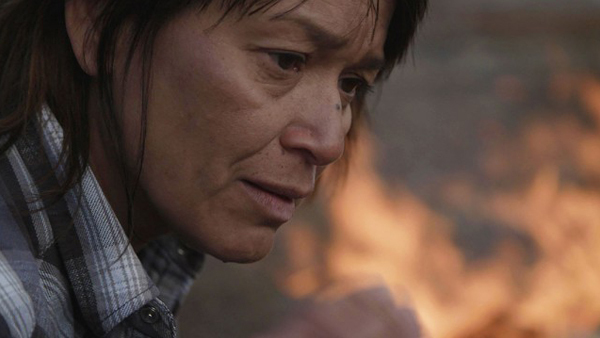 And if you really want to experience North of Superior as it was meant to be seen, catch it at the festival complete with live Indigenous music and powwow performances. Everyone always raves about Peter Mettler’s Picture of Light, also one of POV’s documentary essentials, for its truly gorgeous lensing of the northern lights. And rightfully so since Mettler essentially films the unfilmable to capture one of Canada’s natural wonders. But the real gem of the film is a laugh out loud funny sequence in which a lodger up north uses his trusty rifle to shoot a hole in the wall, let the light in, and show Mettler how much snow can accumulate overnight. It’s a wacky and eccentric scene that one can only describe as “Herzoggian.”Picture of Light, both breathtaking and bizarre, is a wonder of Canada’s national art form.